There would soon, however, be another reaction. Those of us who were close to the epicenters of the 9/11 attacks would primarily grieve and mourn. Those who had some distance would indulge in the growing nationalist cant and calls for blood that would soon triumph over reason and sanity. Nationalism was a disease I knew intimately as a war correspondent. It is anti-thought. It is primarily about self-exaltation. The flip side of nationalism is always racism, the dehumanization of the enemy and all who appear to question the cause. The plague of nationalism began almost immediately. My son, who was 11, asked me what the difference was between cars flying small American flags and cars flying large American flags. “The people with the really big flags are the really big assholes,” I told him. Because few cared to examine our activities in the Muslim world, the attacks became certified as incomprehensible by the state and its lap dogs, the press. Those who carried out the attacks were branded as rising out of a culture and religion that was at best primitive and probably evil. The Quran—although it forbids suicide as well as the murder of women and children—was painted as a manual for fanaticism and terror. The attackers embodied the titanic clash of civilizations, the cosmic battle under way between good and evil, the forces of light and darkness. Images of the planes crashing into the towers and heroic rescuers emerging from the rubble were played and replayed. We were deluged with painful stories of the survivors and victims. 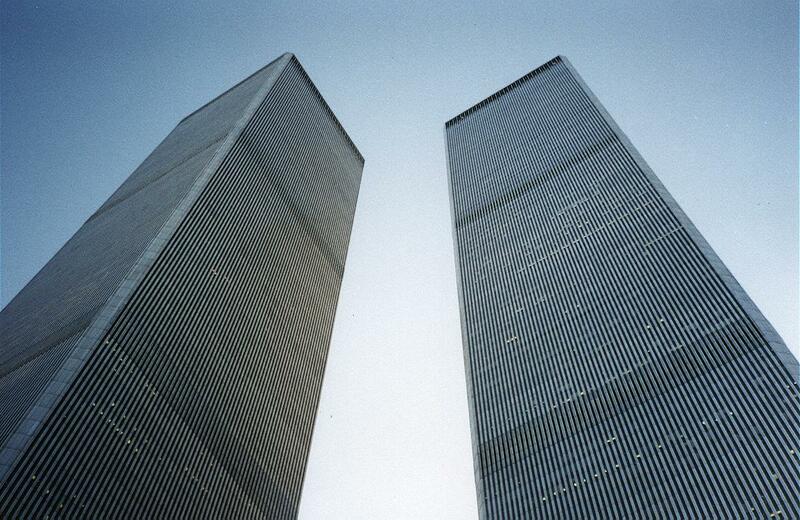 The deaths and falling towers became iconographic. The ceremonies of remembrance were skillfully hijacked by the purveyors of war and hatred. They became vehicles to justify doing to others what had been done to us. And as innocents died here, soon other innocents began to die in the Muslim world. A life for a life. Murder for murder. Death for death. Terror for terror. We were unable to accept the reality of this anonymous slaughter. We were unable because it exposed the awful truth that we live in a morally neutral universe where human life, including our life, can be snuffed out in senseless and random violence. It showed us that there is no protection, not from God, fate, luck, omens or the state. We have still not woken up to whom we have become, to the fatal erosion of domestic and international law and the senseless waste of lives, resources and trillions of dollars to wage wars that ultimately we can never win. We do not see that our own faces have become as contorted as the faces of the demented hijackers who seized the three commercial jetliners a decade ago. We do not grasp that Osama bin Laden’s twisted vision of a world of indiscriminate violence and terror has triumphed. The attacks turned us into monsters, grotesque ghouls, sadists and killers who drop bombs on village children and waterboard those we kidnap, strip of their rights and hold for years without due process. We acted before we were able to think. And it is the satanic lust of violence that has us locked in its grip. We could have gone another route. We could have built on the profound sympathy and empathy that swept through the world following the attacks. The revulsion over the crimes that took place 10 years ago, including in the Muslim world, where I was working in the weeks and months after 9/11, was nearly universal. The attacks, if we had turned them over to intelligence agencies and diplomats, might have opened possibilities not of war and death but ultimately reconciliation and communication, of redressing the wrongs that we commit in the Middle East and that are committed by Israel with our blessing. It was a moment we squandered. Our brutality and triumphalism, the byproducts of nationalism and our infantile pride, revived the jihadist movement. We became the radical Islamist movement’s most effective recruiting tool. We descended to its barbarity. We became terrorists too. The sad legacy of 9/11 is that the assholes, on each side, won.